The past year, I have found myself shopping at Old Navy more and more. They have great deals on basic items as well as really affordable pieces that keep up with the current trends and styles. I wear the Rockstar Skinny Jeans nearly every day to work in black. They are so comfortable, and paired with a nice blouse, they are totally work appropriate. I've also recently tried some of their active wear, and was surprised how much I liked it! The tops stay in place and are just as comfortable as the more expensive work out tops I have. It's hard not to compare yourself to others, and desire the wardrobe pieces you often see on fashion blogs. Thankfully, Old Navy has options in my price range that make me feel great and allow me to keep up with the ever-changing fashion trends. And even some of the top fashion bloggers like Kendi and Julia have incorporated these great pieces into their looks. Fall is my favorite time of year for fashion, I love cozy sweaters, boots and scarves. Therefore, I am blaming the season for putting me in a shopping mood! Currently, my shopping cart at Old Navy has nearly 20 items in it! I'm refraining from purchasing everything I want, but I might treat myself to a few items. After all, it is my birthday month! 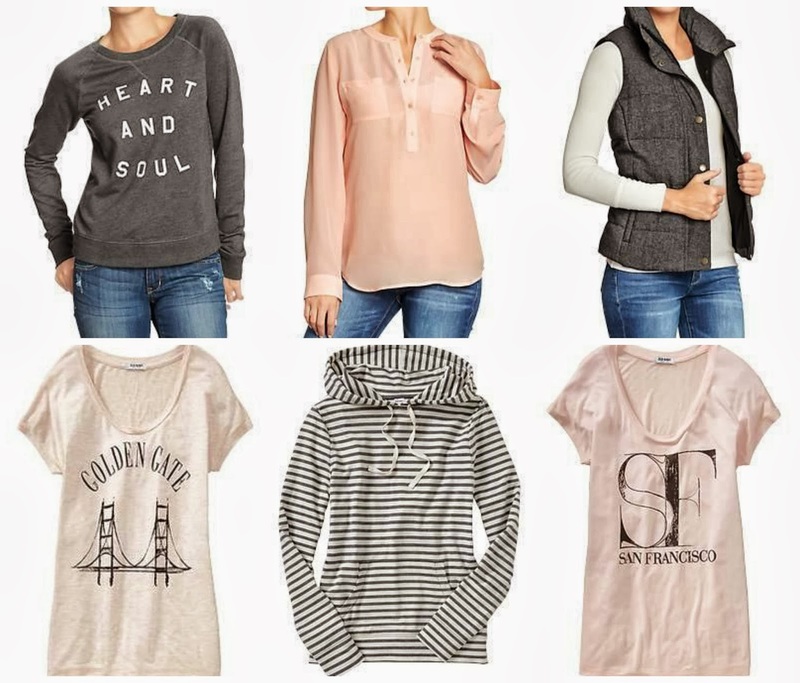 Here are some of the items I'm coveting from Old Navy lately. I love Old Navy and I may have already told you that haha. I feel like they've REALLY stepped up their game in the past year or two. I'm really liking the puffer vests! Gap has some adorable ones as we'll! Have a great weekend girlie! Cute picks!! I especially love the San Francisco tees! OMG Old Navy really has their game face on!!! it used to be hit or miss and when I went in this week I wanted like one of everything!!! i got a vest to wear to the game this weekend- pumped!! These are great items! I've been eyeing that vest lately..it's just so cute! 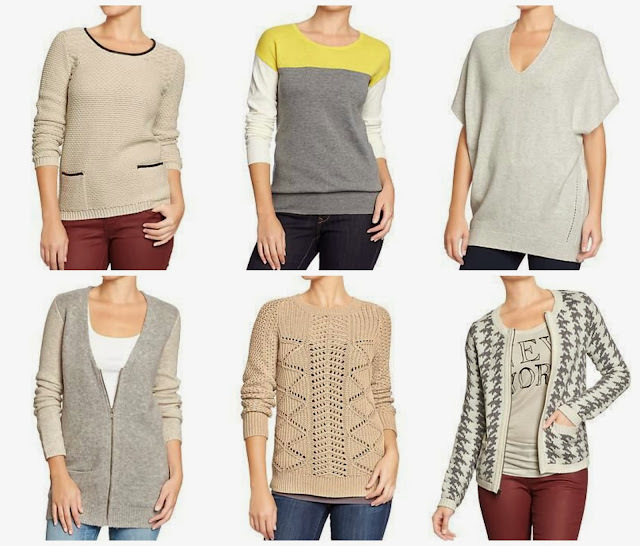 And they have a lot of cute sweaters right now. Old navy is steppin' up their game for sure! Did you buy any items yet?? Woah, I really need to visit Old Navy! They have stepped up their game. A Costume Collection - Happy Halloween!